* Our best ever late round draft picks article was originally published in 2014. Time will tell if anyone should be added to the list (feel free to share opinions in the comments below). In the meantime, hard to argue with these guys best the best ever. In the annual NHL Entry Draft, teams select players who they believe have the skill and determination to be both consistent and productive players at the NHL level. During the draft, players who have exhibited these qualities to NHL scouts and management tend to be those chosen early on, with those who display unique, generational skill selected early in the first round. However, in some cases, players with great skill and potential can be overlooked, falling into later rounds in the draft before they are selected. In most cases, players picked late in the draft do not reach the NHL in a significant capacity. Yet in a few rare cases, players overlooked and drafted late in the NHL Entry Draft have gone on to become elite NHL players or even Hall of Fame inductees. Despite an extremely successful junior hockey career with the Hull Olympiques, Hall of Fame left winger Luc Robitaille went undrafted until the ninth round. In 197 career games in the QMJHL, Robitaille scored 424 points, including 55 goals and 148 points in his draft year! Despite his proven ability to produce offensively, Robitaille’s draft stock fell due to concerns over his skating ability, as many scouts felt although he was great around the net, he lacked elusive speed and the physical game necessary to play at the NHL level. 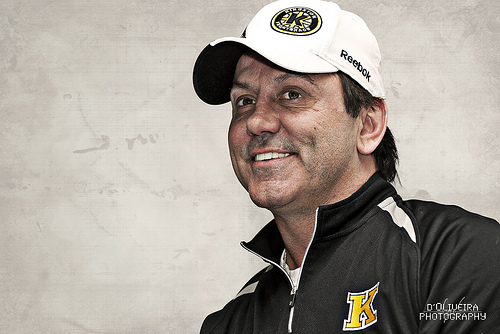 In his last year in Hull following his selection in the 1984 NHL Entry Draft, Luc scored 68 goals and 191 points. Robitaille stepped right into the NHL in the 1986-87 season and was spectacular, netting 45 goals and 84 points, winning the Calder Trophy. In his 19 year NHL career, Robitaille was a 13-time All-Star and enjoyed four 100 point seasons. He scored 40 goals five times, 50 twice and in 1992-93, scored 63 goals. Although Luc played 14 years of his career with the Los Angeles Kings, he won his one and only Stanley Cup as a player in 2001-02 with the Detroit Red Wings. Even though Robitaille was drafted AFTER 2014 Major League Baseball Hall of Fame inductee Tom Glavine, Luc went on to become an elite NHL player. 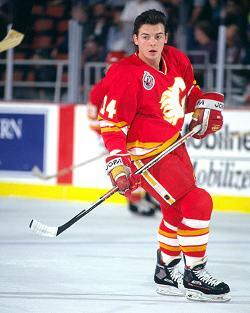 Like Luc Robitaille, Theo Fleury also had a fantastic junior career. Fleury starred with the WHL’s Moose Jaw Warriors. In Fleury’s draft year, he scored 61 goals and 129 points, yet was still selected late in the draft. The major concern for scouts was his size, as at 5 foot 6, many thought Fleury did not have the size to play at the NHL level. However, what Fleury lacked in size he made up for in skill and determination. Despite a demotion to the Calgary Flames’ IHL affiliate in Salt Lake City, Fleury scored 74 points in 40 games, prompting a call up to the Flames in 1989. After his promotion, Fleury instantly became a centerpiece with the Flames. In his first full season, Theo scored 31 goals, a sum he surpassed in his next campaign in which he scored a career-best 51 goals. A nine-time All-Star, Fleury would score 455 goals and 1088 points in his 16 year NHL career, winning one Stanley Cup. Fleury also represented Canada on the international stage on eight occasions, including two Olympic Games. Another late round success story, Henrik Zetterberg was a relative unknown before his arrival in the NHL. Prior to being drafted, Zetterberg had been playing for Timra IK of the Sweden Elitserien hockey league. Henrik had not been a standout on the team, and as a result had not been heavily scouted. 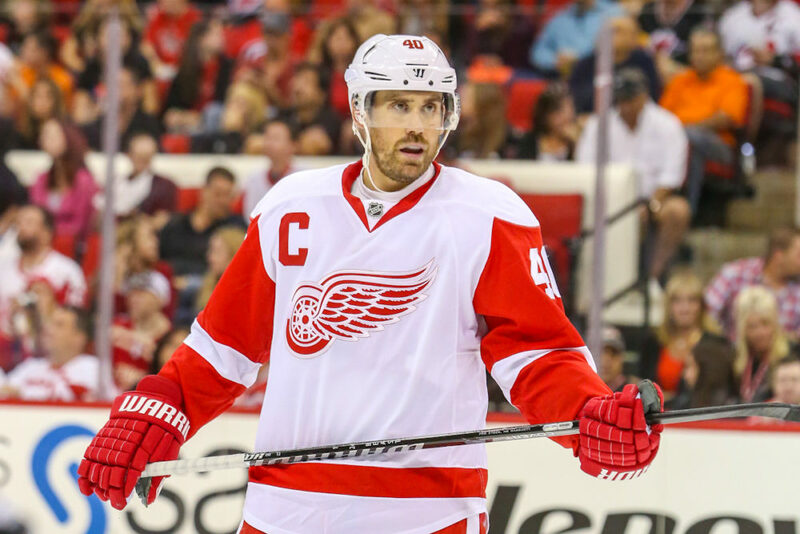 Detroit Red Wings’ European scout Hakan Andersson mentioned to management that if Zetterberg was still available late, they should take a chance on him. What a great suggestion that turned out to be. Three years after being drafted, Henrik made his debut in the NHL at the age of 22. In his first full season, Zetterberg scored 22 goals and was the runner-up for the Calder Trophy. Thus far in his 12-year career with the Detroit Red Wings, Zetterberg has scored over 700 points and is an eight-time All-Star. In the 2007-08 season, Zetterberg was essential in leading the Red Wings to a Stanley Cup championship, so important in fact that Henrik was awarded the Conn Smythe as playoff MVP, scoring 27 points in 22 playoff games that post-season. Zetterberg has also enjoyed a long international hockey career with Sweden, having played in the World Junior Championship, World Championship as well as the Olympic games on three occasions. Yet again, we have another Hall of Fame NHL player drafted extremely late in the annual selection. Doug Gilmour, like Robitaille and Fleury, had an impressive junior career. In his three seasons with the Cornwall Royals, Gilmour scored 128 goals and 331 points. However, as with other players we have seen before, Doug Gilmour’s size was a significant factor in his drop in the 1982 NHL Entry Draft. Scouts claimed that not only was he too small at 5 foot 7, but Doug was also far too light. In his draft year, he appeared too easy to knock off of the puck, despite his obvious offensive skills. Yet having scored 46 goals and 119 points in his draft year, Gilmour was simply too good to go undrafted, and was chosen by the St. Louis Blues. Although Gilmour’s first three NHL seasons were relatively mediocre, Doug exploded in his fourth season with the Blues, scoring 42 goals and 105 points in 1986-87. It was from this point on that Gilmour would be seen as an elite player in the NHL. In his 19 year NHL career, Gilmour would score 450 goals and 1414 points, including a 127 point season in 1992-93 with the Toronto Maple Leafs. A Stanley Cup champion with the Calgary Flames, Gilmour captured the Frank J. Selke Trophy in 1992-93 as the league’s top defensive forward. Doug Gilmour was inducted to the Hockey Hall of Fame in 2011. Brett Hull, inducted to the Hockey Hall of Fame in 2009, was a late round selection by the Calgary Flames in the 1984 NHL Entry Draft. His low positioning is extremely surprising, especially so given the success he had in the BCJHL in his draft year, in which Hull scored 105 goals and 188 points in 57 games with the Penticton Knights. 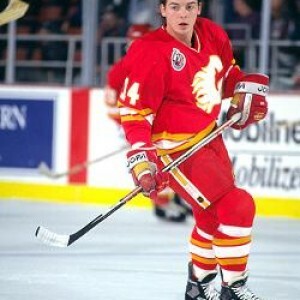 Although Hull only played two seasons with the Calgary Flames before he was involved in one of the worst trades in NHL history, he went on to become an elite offensive player in the league for years to come. In his nineteen year career, Hull was known as a prolific goal scorer, netting eight 40+ goal seasons, including campaigns of 57, 70, 72 and 86 goals! In NHL history, Hull currently sits third all-time in goals scored with 741. Alongside his mountain of goals, Hull added 650 assists to give him 1391 points for his career. An 11-time All-Star, Hull won the Lady Byng, Ted Lindsay and Hart Memorial Trophies, as well as two Stanley Cups. 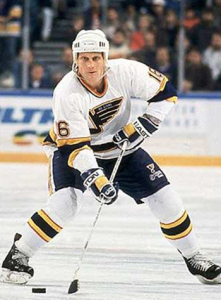 A two-time United States Olympian, Brett Hull is one of the greatest late round draft picks in NHL history. 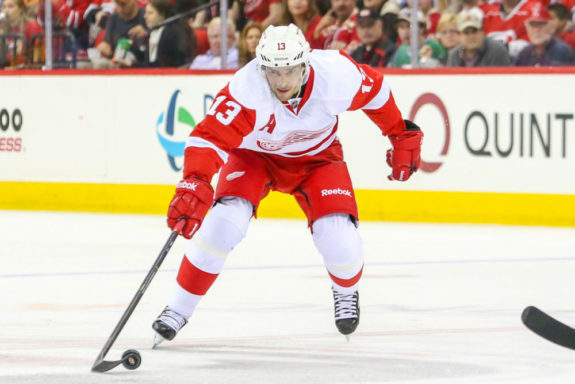 Pavel Datsyuk was an absolute steal for the Red Wings with the 171st overall pick. Similar to Henrik Zetterberg, Detroit Red Wings’ European scout Hakan Andersson did not have high expectations of Pavel, mentioning to Detroit management that if Datsyuk was available late in the draft, he might be worth drafting. It was a decision, alongside that of Zetterberg, which has made the Detroit player development department look like genius’ to the rest of the league for some time now. Datsyuk’s junior career was spent with Yekaterinburg Dynamo, a now extinct team who once played in the Russian Elite League. In Pavel’s time with the Dynamo, he struggled to register near a half a point per game, scoring a mere 31 points in 79 games. Based on his play to this point, Datsyuk appeared to be a longshot NHL success who would need a long amount of time to develop his game to match his talent and skills. Following a further year of development with Kazan Ak-Barks, Pavel seemed to begin to meet his potential and made the Red Wings out of training camp. 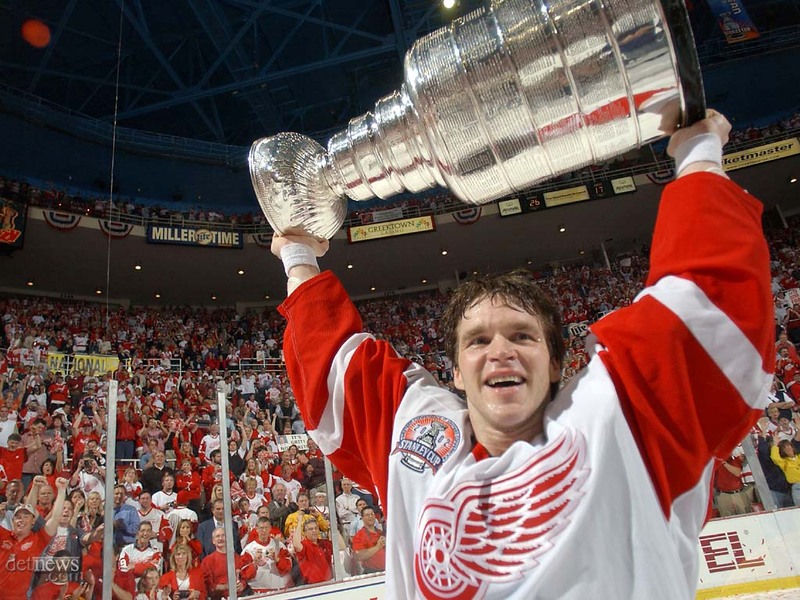 In his first season, the Wings won the Stanley Cup, with Datsyuk playing 21 playoff games in which he earned valuable experience. From this point, Datsyuk’s game continued to progress, as following the lock-out season, Pavel won three consecutive Lady Byng Trophies while posting point totals near the century mark. At this point in his career, Datsyuk is an eight-time All-Star. With over 800 NHL games played, Pavel has recorded over 800 points and continues to be an elite offensive and defensive threat in the NHL today (at the time of writing). A two-time Stanley Cup champion, Datsyuk is a modern day inspiration and symbol of hope to all those selected late, or even completely passed over in the annual NHL Entry Draft.